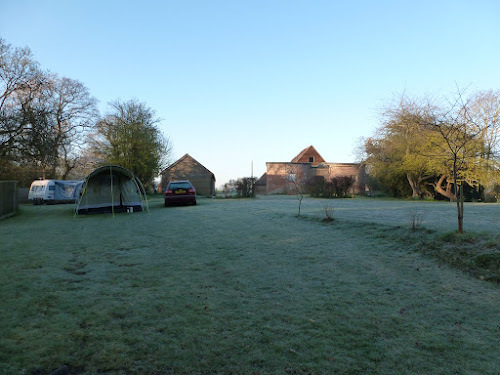 We had planned an easter weekend camping trip to Kent and no threats of snow, frost or rain were going to stop us. 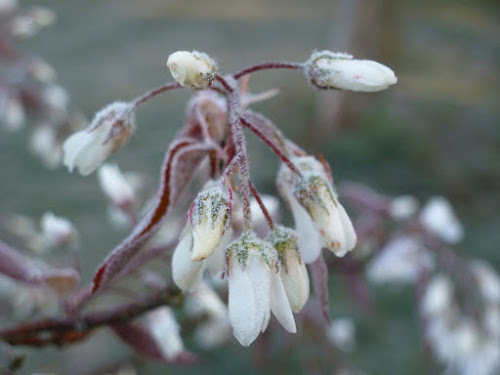 So we only had ourselves to blame for a first night spent shivering in temperatures of minus something! But those clear nights result in beautiful crisp clear mornings and that's what we were rewarded with when we unzipped the tent door. 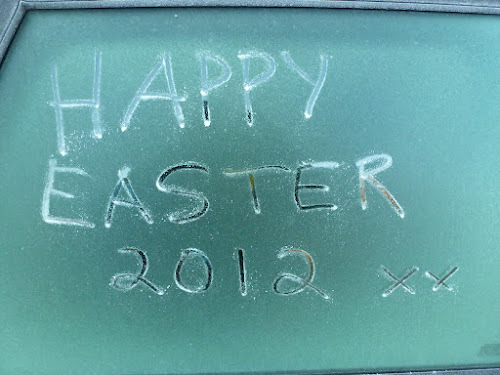 It was frosty enough for me to write a little greeting to Himself on the car window. Before the rest of the world woke up and before the sun rose high enough to melt away the cold, I went exploring our camp site to try for a little creative photography to give an idea of just how chilly it was! 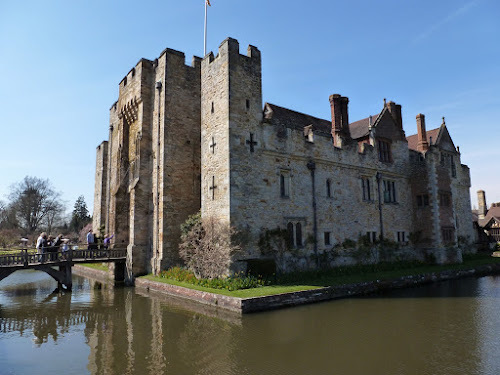 One of the main reasons we had gone to Kent was to visit Hever Castle, the beautiful childhood home of Anne Boleyn. I've read the history of this place for many years and seen photos of it from all angles but didn't know what to expect from my first trip to see it in person. It was clearly very popular and the car park was almost full when we arrived mid morning. Our first view of the castle was stunning. The medieval fortified home seemed to hover above a calm sheet of water. Confusingly , right by the front entrance was a large white tent housing a brass band. They were very good and churned out a mix of contemporary tunes but they acted as a distraction and filled the air with sounds completely disconnected with the building. Inside it was difficult to work out the history of the Castle and there was an odd mix of items in some of the rooms such as an 18th century wooden dairy bowl sitting out of place on a 14th century carved trunk. The overall impression was one of beauty and grandeur but don't go expecting it to make a lot of sense! 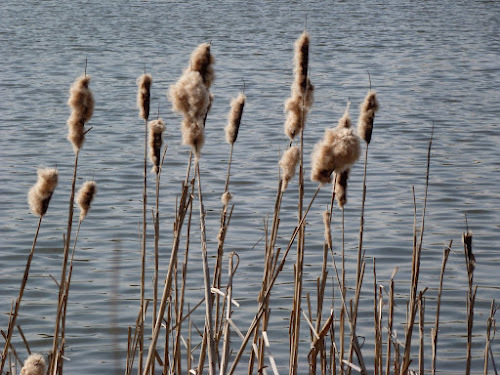 Having said that, it is certainly worth a visit for the lovely grounds and the beautiful walk around the lake. 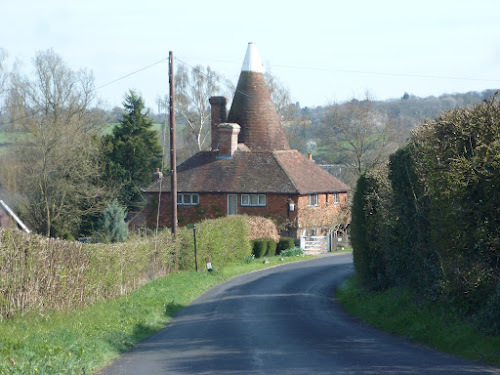 We left with great photos and it had been a sunny day, perfect for exploring new places and the countryside of Kent was glorious as the sun softened and threw out sunset shadows over an Oast house on our route back to the campsite.